The social legitimacy of business actors in EU member states has waxed and waned over the past two decades. Levels of trust in business, as recorded in public opinion polls, tend to increase in good economic times and decrease during recessions. After the financial crisis began in 2007 and mushroomed into the Euro crisis in 2009 and a double-dip recession in 2012, the European public’s confidence in business plummeted. These recent fluctuations in public trust of market actors have occurred against the backdrop of growing scepticism about the rise of large transnational corporations (TNCs) in our current era of economic globalisation. To counter or at least ‘socialise’ the increased power of TNCs, the EU has sought to develop and implement a robust corporate social responsibility (CSR) strategy since the early 2000s. In its original formulation, published in Green Paper in 2001, the Commission defined CSR as a “concept whereby companies integrate social and environmental concerns in their business operations and in their interaction with their stakeholders on a voluntary basis”. This definition and its emphasis on the voluntary nature of CSR were in keeping with international developments of the time. In 2000, the United Nations launched its Global Compact initiative that encourages corporations voluntarily to sign up to 10 principles that cover environmental sustainability, human rights and anti-corruption pledges. Many global environmental NGOs and private standards bodies have also created voluntary CSR codes such as Forest Stewardship Council’s sustainable forestry label and the ISO 26000 CSR management system certificate. These initiatives encourage companies to go beyond compliance with binding regulations and often reward them with the use of a participation label if the company meets the code’s requirements. In the wake of the financial crisis, civil society actors and European regulators have questioned the purely voluntary nature of CSR and are calling for ‘complementary’ legislation to encourage corporate reform. This change in tone is illustrated by the revised definition of CSR published by the European Commission in 2011, which states that CSR is “the responsibility of enterprises for their impacts on society” and links this to compliance with government regulation. This change was followed in 2014 by the adoption of a new EU Directive on Disclosure of Non-financial and Diversity Information by Certain Large Undertakings and Groups (Directive 2014/95/EU), which requires large firms with more than 500 employees, head-quartered in EU countries, to report annually on their policies, outcomes and risks associated with their environmental, social and human rights impacts. 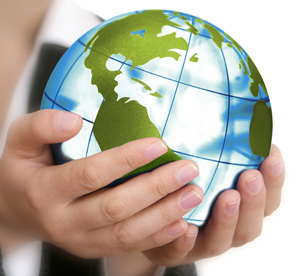 Although mandatory, the Directive allows firms the freedom to use any national or international frameworks they choose, including the Eco-Management and Audit Scheme (EMAS), the UN Global Compact, and the Global Reporting Initiative (GRI) to meet these new requirements. This legislation and new CSR definition have proven controversial within the European business community (Kinderman 2014). But many core features of the approach developed in the early 2000s remain in place. Mandatory reporting laws do not introduce any binding mandates on companies to limit environmental pollution, increase labour standards or introduce quotas for female representation on corporate boards. The emphasis is still clearly on voluntary action such as stakeholder engagement, transparency and learning through the development of best practice and common norms of responsibility. How have European firms engaged with the CSR agenda promoted by the EU and the reporting requirements identified by the new Directive? 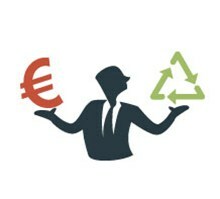 Is there evidence that European firms are learning to implement better CSR practice through this engagement? To address these questions, we conducted a content analysis of CSR reports published by firms in Western Europe and the US. The results reported here are derived from a pilot study based on a matched sample of the reports published by 40 corporations in 2012/2013, 20 from EU member states and 20 from the US. In the absence of explicit legislative requirements, firms can decide whether and how to engage in CSR disclosure, including which issues to report on and the level of detail to offer. The investigation of CSR reports thus provides an opportunity to assess the quality of CSR disclosure across different countries and allows us to explore the reporting practices the Directive aims to harmonise. Below we summarise key findings that can be derived from this analysis. Firms in both Europe and the US appear to have incorporated CSR norms and practices in to their operating procedures over the past 20 years. Research by KPMG (2013) indicates that TNCs in North America and Europe have increased their CSR reporting levels and that the quality of the information disclosed has improved over time. In 1999, only 35% of the largest companies in the two regions published information on their environmental, social and human rights impacts; by 2013 that number had risen to 93%. The more in-depth analysis we carried in our pilot study on European and US firms indicates that despite this improvement, at present, the level of CSR disclosure varies significantly across the reporting areas identified by the EU Directive. Large corporations in both Europe and the US tend to provide higher quality information on environmental matters, compared to labour and human rights matters. The vast majority of firms has ad-hoc policies for an array of environmental issues and assesses performance quantitatively, which can be read as a part of a wider environmental strategy, entailing long-term commitments and objectives.While the corporations appear to report on worker-related policies, they are unlikely to account for their impact or quantify their performance on aspects other than diversity and health and safety. Even for the latter, companies tend to confine their disclosure to past performance and only rarely indicate future objectives and targets. Finally, less than 30% of corporations in our sample disclose human rights policies in the reports, and less than 10% provide information about past human rights-related incidents. CSR disclosure also varies significantly by home country and region. Comparing CSR disclosure across regions, we find that the quality of US firms’ disclosures in terms of their environmental, labour and human rights impacts and performance assessment is consistently lower than that contained in European reports. This gap is more pronounced for social and human rights than environmental issues. Taken together this analysis indicates that large TNCs in Europe have indeed engaged with the CSR agenda promoted by the EU and other private governance schemes such as the UN Global Compact. Although TNCs appear to be more transparent about their CSR impacts than in the past, the analysis also indicates that reporting is still very uneven across country and CSR areas. The commitments and quality of information that firms disclose outside of the environmental area are especially under-developed. CSR reporting also varies by region and home country. The generally better performance of European firms over their US counterparts indicates that the EU’s efforts in promoting CSR may have had some effect. Further, the new Directive may go some way towards encouraging European firms to improve their engagement with and reporting on social and human rights issues by harmonising practice through a mandatory Directive. The fact that the Directive is limited to large corporations and draws on a variety of existing codes, which tend to emphasise environmental over social issues means that any positive change will likely be limited. This entry was posted in Business, Europe and tagged CSR, environment, European business, European Union, human rights, legitimacy, TNCs, Transparency. Bookmark the permalink.